I have been a John Scofield fan since I was introduced to him as part of Miles Davis’ band in the 80s. I am less familiar with Gov’t Mule but I am a fan of the Allman Brothers’ Renaissance that Warren Haynes is responsible for. I became aware of this collaboration when I was Googling for some background information on Gov’t Mule’s Dark Side Of The Mule album. I discovered there was a Sco-Mule tour this winter. I bought my tickets to the Minneapolis show and then was delighted to learn there was going to be a Sco-Mule album too. 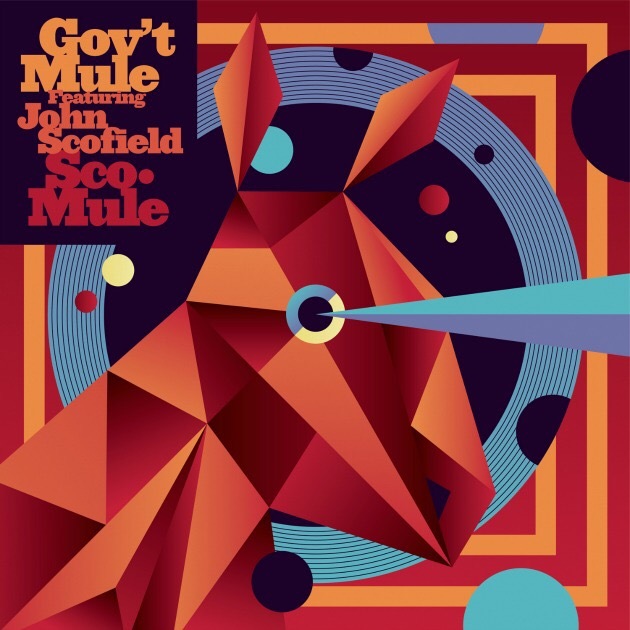 The album is drawn from two live shows that Scofield did with Gov’t Mule in 1999. It sounds as fresh today as if it was recorded yesterday. This is classic groove oriented jazz rock. Lots of funky shredding. The best surprise is the keyboards (Dr. Dan Matrazzo – no idea who he is but he is amazing). The album has a lot of James Brown grooves that creates a great platform for Haynes and Scofield to spar. The album is all instrumental with most of the songs clocking in well over 10 minutes (the album is two and half hours spread over two CDs). I don’t think it is an insult to call this a great jam band. Every song is pure joy. This a classic jazz blowing session that has Haynes and Scofield playfully throw punches. They tag off to Matrazzo too. Recording quality is top-notch for a live show. There are some amazing sounds coming out of these guys. Scofield sounds like a sax, electric violin and a turntable besides his great “regular” guitar tone. Haynes is his usual bluesy self which grounds the session as Scofield goes nuts. Matrazzo is amazing keyboard player (think Headhunter’s era Herbie Hancock) – I have got to find more stuff by this guy. I can’t wait to see this gang live.